So many people want an organized house and practical storage solutions but it seems like everywhere you look someone is trying to sell you something expensive to meet your needs. Organizing your home and storing things in a way that works for you shouldn't be expensive AT ALL! 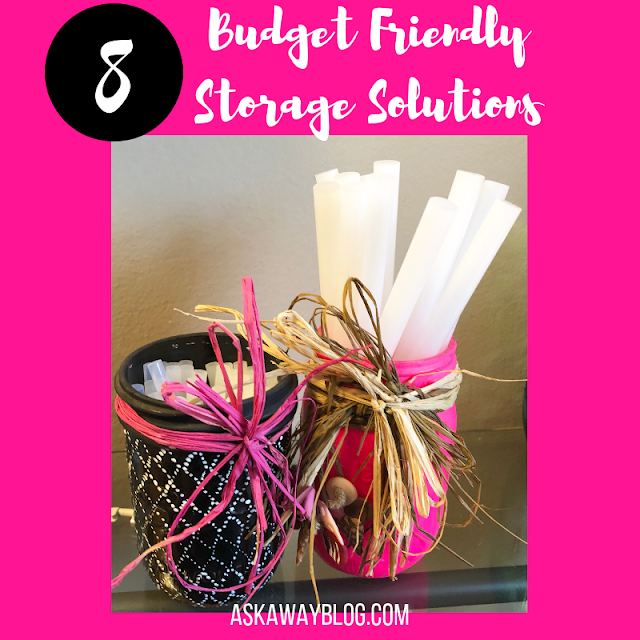 That's why today I'm sharing 8 budget friendly storage solutions that you can with things you probably already have sitting around your house. A great example of using something you already own as decor for organizing purposes is any kind of wall decor with hooks or a way to hang things. 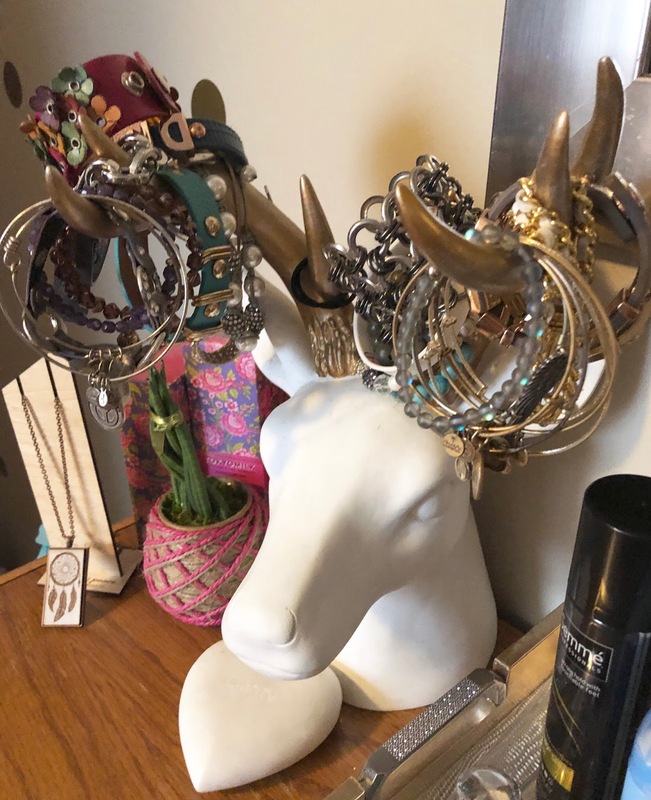 For jewelry, A faux deer head works great! I've also seen people hang rings and bracelets on small statues or figurines on their dresser top. I've also seen some really cool wall hanging decor used to store flower crowns, headbands, bandannas, scarves, jewelry, and more. Look around your home at the type of decor you have and ask yourself if you can use any of it for storing and organizing some of your possessions. I also like to hang "trophy necklaces" aka my name badges from blog conferences on the corner of my mirror in my bedroom. It's a great way to display them rather than let them sit in a drawer and collect dust. 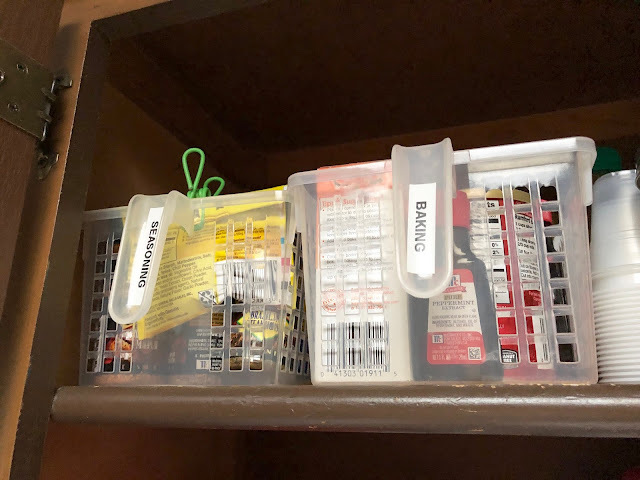 Cheap bins from the dollar store are an affordable and fantastic way to organize your stuff. You can put labels on them and get clear ones so you can see what's inside. Dollar stores even have cheap plastic shoe boxes which are great for not only shoes but electronics, video games, and more. The plastic baskets I get at the dollar store have a handle that makes it great for someone like me with limited cabinet space. If I need an item that I know is in that bin, I just pull it down and remove the item. These are great for pantry and cupboard shelves, under the counter storage of cleaning supplies and beauty items, and garage storage for tools and small outdoor items. Organizing shelves with gorgeous baskets or bins that you already own is a great way to make it stylish and practical. I received the metal bucket and the basket here as gifts many years ago. I actually don't even remember what came in them but I know that I held onto the basket and bucket because I knew someday I could use them as a storage solution. I now use the bucket for shaving supplies and the basket for washcloths. The best part is, when they're up on the shelf above the toilet, you can't even see what's in them so it looks nice and clean without clutter. It doesn't matter if the washcloths aren't folded or the shaving supply is a mess, as long as it looks good at first glance, I'm happy. We tend to collect jars and vases because we don't want to get rid of them and they seem like they'll be useful someday. Well, that day is today. I use some of my prettiest jars in my craft area to hold glue sticks. 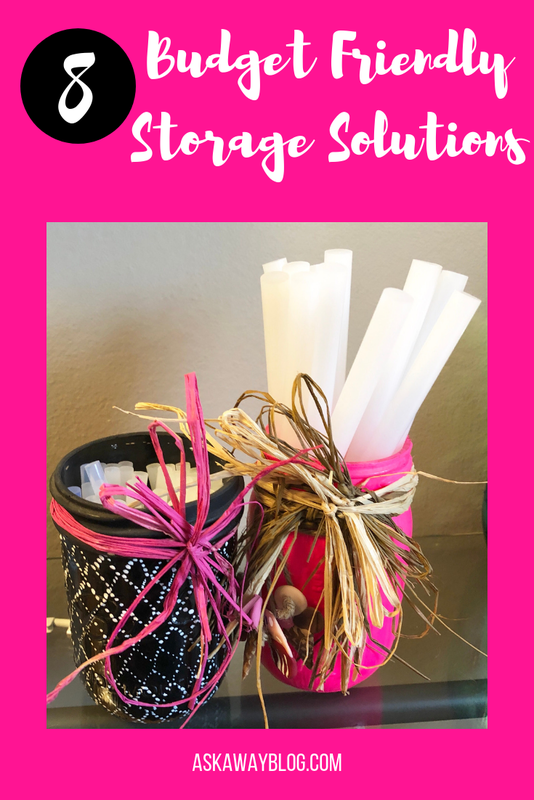 You can also use jars for pencils, scissors, and random craft decorations. 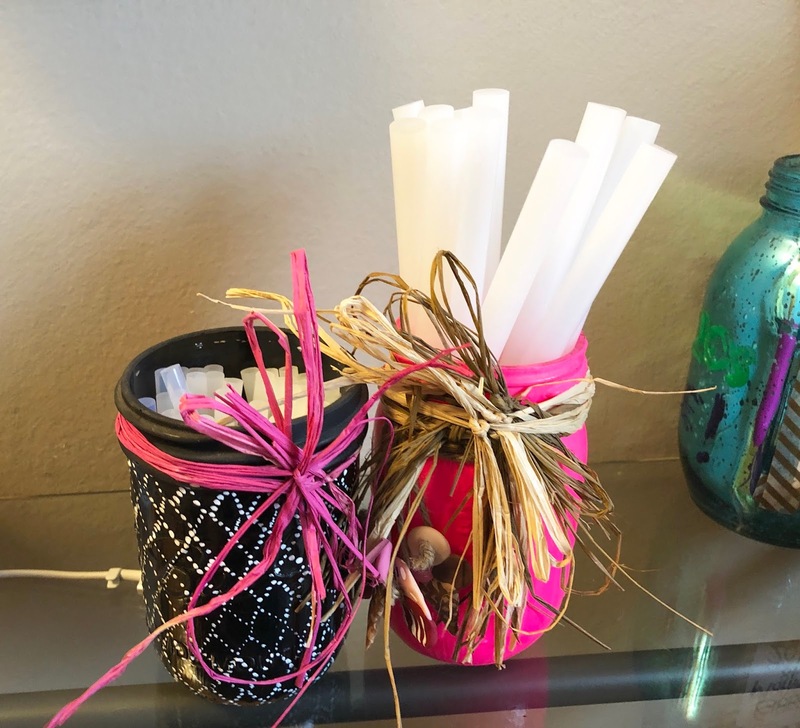 Vases are good for long items like rulers and pipe cleaners. The benefit of these items is that you probably own a bunch already and no matter where you put them, they'll look nice on display. I even use some jars in my craft drawers to keep certain items standing upright. 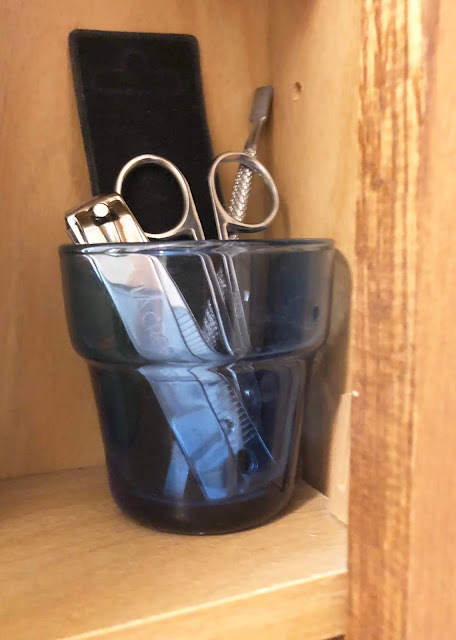 I found these little glass flower pots a long time ago at a dollar store and they are great for corralling tiny items in a medicine cabinet. I've also used them in the kitchen for toothpicks and for small straws. They come in terracotta, glass, and even metal at different stores. I've used the terracotta ones for storage of gardening items like seed packets. If you have kids, you may want to place one in the cup holder of your car and place some crayons inside for when you have long trips and the kids want to color. In the bathroom medicine cabinets I've seen people store dental floss picks in them as well as hair pins. 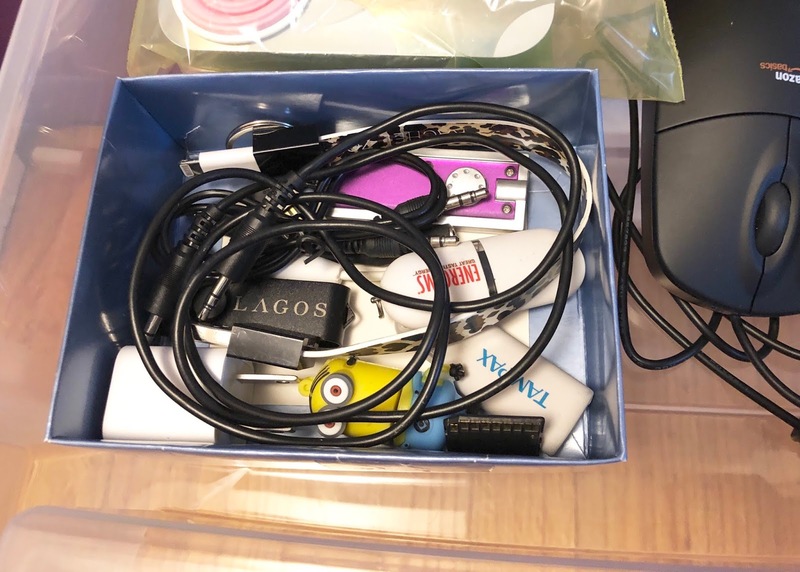 If you've ever read the KonMari book about tidying, you'll remember Marie Kondo saying how boxes we already own are GREAT for organizing drawers. Boxes for phones and other electronics are especially sturdy and are great in the office, kitchen junk drawer, and even the vanity. 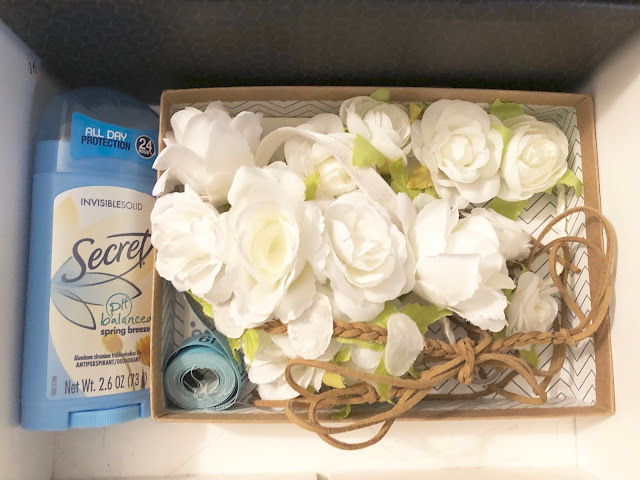 If you get those little subscription boxes in the mail, a lot of the jewelry or samples that come in boxes are the perfect size. The best part is, you don't have to spend money on new boxes! And don't stress too much about size. You can always rearrange a drawer so things fit in a better way. Try to work with what you already have. 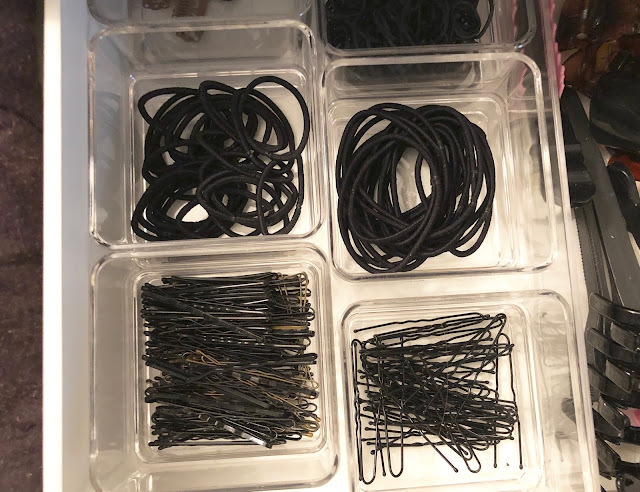 These little storage trays are very cheap (around a dollar a piece) at The Container Store and I use them in my vanity, office drawers, and anywhere else that they can fit in a drawer and keep it organized. I usually stock up on these all at one time and if I have any leftover, I store them away because I know eventually I'll need a container that size one day. When it comes to things like hats, coats, bags, scarves and jewelry, hanging storage solutions are perfect. And you don't have to get some fancy system. 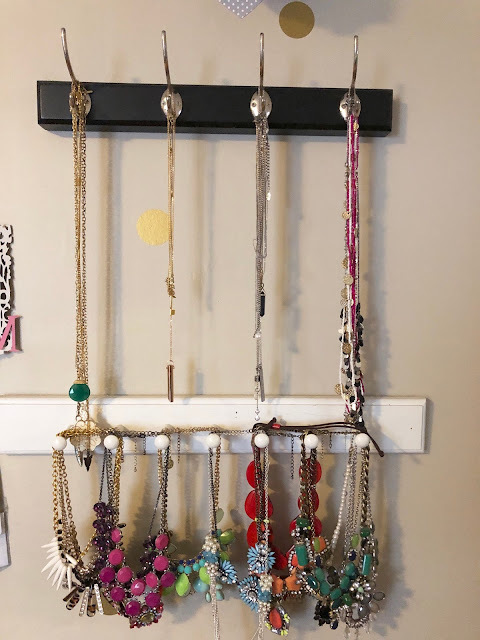 I actually use coat hooks to hang my jewelry and it cost a whole lot less. Plus I can always pain them different colors if I really wanted to. Hanging storage keeps stuff out of the way and off the floor and it's sometimes easier to choose an item when everything's displayed nicely in front of you. With a little creative thinking, you can find storage solutions around your own home or for a few bucks at the store, without having to spend much money at all. Plus, it's very rewarding when you do something that's functional AND stylish. What are some budget friendly storage solutions you use in your home currently? I a huge fan of using baskets.